Prodigious Author Norman Giller's 100th Book -- He Now Has More Words Published Than Shakespeare and Dickens Combined! From sitting around ancient campfires telling and listening to tall tales, to us now reading e-books, or being awed by IMAX 3D movies and even consuming old-fashioned hard copy books, story telling is at the very heart of our need to entertain, inform and communicate with other humans. Our stories continue to be about heroes and those with clay feet, about good guys and bad guys like London gangsters the Kray twins, who are both being mesmerizingly played by Englishman Tom Hardy in the upcoming movie, Legend (November 20). It's our good fortune to have people who've done a two-step with Time on this mortal coil for a richly long period, because we get the color, personality and wisdom of their journey. One of the best storytellers of the last 50 plus years is charming east London-born sports journalist, author and now also blogger Norman Giller, who recently dropped his journalist's cloak of neutrality and came out, as a supporter of Tottenham Hotspur football club! Giller was born during the German Blitz in an area once terrorized by Jack the Ripper -- how about that for a colorful starter. He later went from a copy boy to award-winning journalist -- "Fleet Street had a smell, a sound, a feel, a pace all of its own" -- and widely read author. 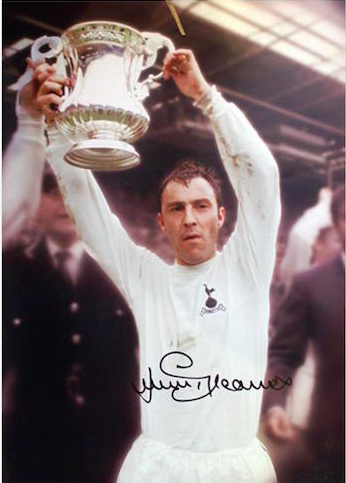 He's a man who's hobnobbed with the likes of Muhammad Ali, Sean Connery, and footballing stars like Jimmy Greaves and Bobby Moore, who captained England to World Cup soccer glory in 1966. And get this, Giller personally knew the Krays who ruled the London crime world in the 1950s and 1960s. The Kray twins were born around the corner to me in London's East End, and I knew them through their boxing exploits. When they were trying to improve their image they once interviewed me for the job of their press agent, but Ronnie - the gay one of the twins - was not that keen on me, and I didn't get the job. Shortly after my interview they were arrested and jailed for life for a couple of murders, running a protection racket and blackmail. That would have tested my powers of PR! 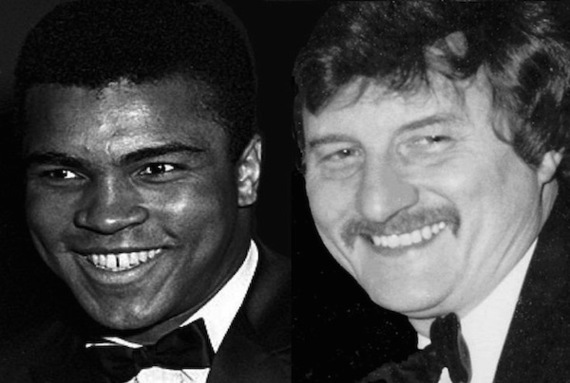 His latest book is jammed with eye-popping stories, including: his life-long love of the "religion that is Tottenham," and being close friends with English top-flight football's greatest goalscorer Jimmy Greaves with whom he's co-written 20 books; working with the peerless competitor and boxing champion Ali -- "the great man could be insulting but there was always a foundation of humor to his hype"; helping to promote British world title contenders Joe Bugner and Frank Bruno, while traveling to Vegas and other venues for the big fights during the 70s and 80s; his life as former chief football reporter for the Daily Express, as a scriptwriter for top TV show, This Is Your Life and, so much more. It would take a book to talk about the changes in that world, but it's in a tsunami of turmoil. It has never been easier to get a book published, but because of crazy cut-price offers by the major book outlets authors are being robbed of deserved royalties. So, I'm self publishing my 100th book rather than go down the traditional route. It's like being on a different planet. The game was much more physical back then, and the feared defenders like Norman 'Bites Yer Legs' Hunter and Ron 'Chopper' Harris wouldn't have lasted five minutes today without being red carded. The great attacking players of the 60s and 70s like George Best, Jimmy Greaves, Bobby Charlton and Denis Law would've been even more sensational in the modern game, because they would not have to worry about defenders trying to kick them up in the air every time they got the ball. The other major change is in the wallet. 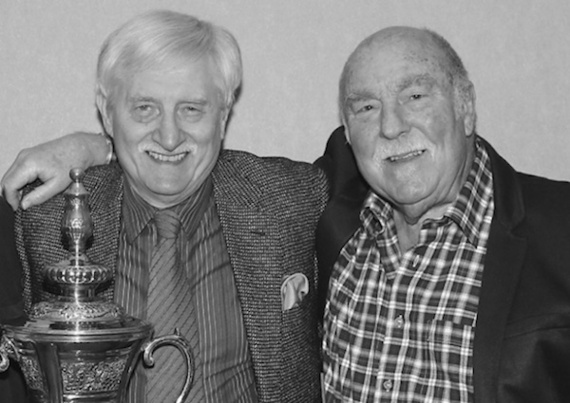 The most my friend Greaves earned with Spurs was sixty five English pounds a week -- average players in the English Premier League can earn £65,000 a week, more than Jimmy earned throughout his career. And, this for a player who was the greatest natural goal scorer I've ever seen. He scored 357 League goals, all in the top division. Barcelona's Lionel Messi is the nearest I've seen to Jimmy, both in style and finishing accuracy. There've been several attempts to get soccer off the ground in the States, but this time I think it's really going to take hold. 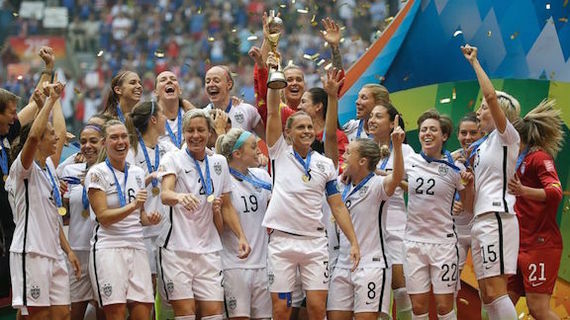 Some exceptional homegrown talent is coming through, and mixed and shaken with the import of top-flight foreign players (like David Beckham), I think the men's game will become established as world class, reflecting what's happening at the women's level in the States. As for FIFA, soccer's world governing body has been rotten from the top down for years. There needs to be a complete clear out at the executive level regardless of any criminal investigations, and new blood brought in to restore faith and credence. 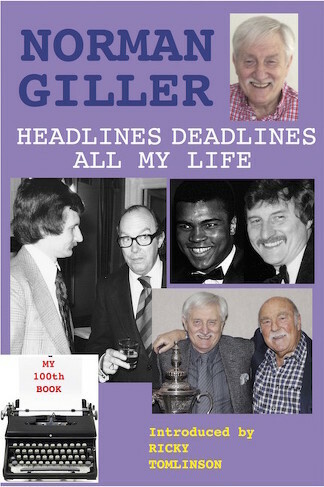 That huge money discrepancy between former and today's players sticks in Giller's craw, so much so that all profits from his Spurs-themed books go to the Tottenham Tribute Trust to help former heroes who've hit difficult times with health and financial issues. Even legendary "Greavsie", who suffered a recent stroke, had to go "cap in hand to the public" to raise money for his medical treatment, notes Giller who adds, "The overlords of English football need to examine their consciences!" 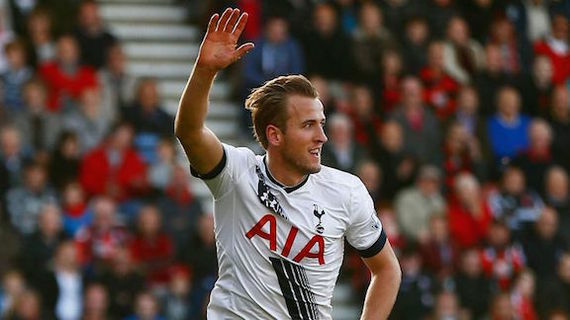 And, as for the "Bard of White Hart Lane's" next book, Giller quips: "Maybe a book on self publishing!" Check out Norman Giller's website, and follow Norman Giller on Facebook, and Twitter. Ashley Jude Collie is a big fan of Norman Giller, the "Bard of White Hart Lane."